The World Rally Championship is the crown jewel of rally racing. Each of the season’s 14 locations provides unmistakable flair and unforgettable adventures. We describe what makes each rally unique – and where ŠKODA Motorsport celebrated its biggest victories. No matter whether on snow or ice in Sweden, on dusty or muddy courses in Argentina, on sand in Australia or jumping over peaks in Finland: ŠKODA is on the path to the championship title in the current World Rally Championship (WRC) series’ WRC2 class with three works crews. This year’s World Rally Championship, or WRC, is being staged over five continents: Europe, North America (Mexico), South America (Argentina), Asia (China) and Australia. It’s hard to imagine a more exciting start to a season. The “Monte” is not only the rally with a uniquely rich history, but also the most unpredictable. The rally on asphalt in the Maritime Alps offers a unique mix of snow and ice, as well as wet and dry terrain. The surface often changes within seconds, depending on the weather – for example, from the north to the south side of a mountain slope. Choosing the right tyre is a balancing act and often plays a decisive role. 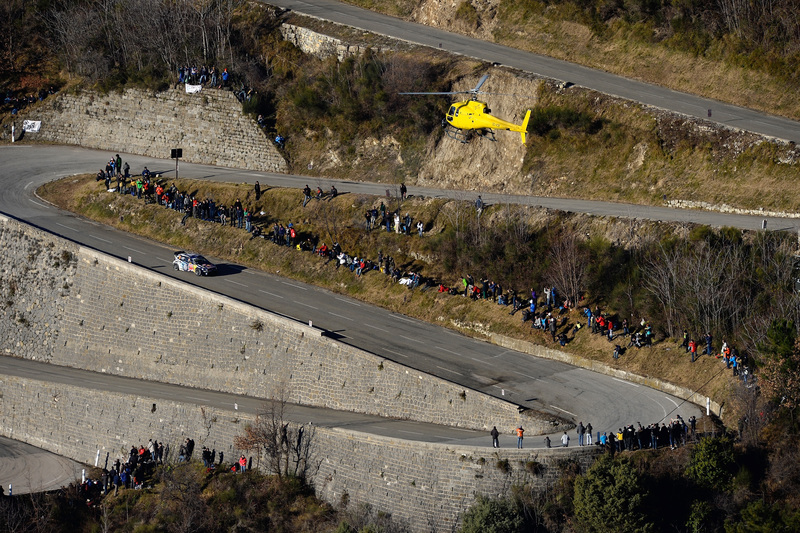 The special stage at the Col de Turini with its many hairpin bends counts as one of the most famous in the world. 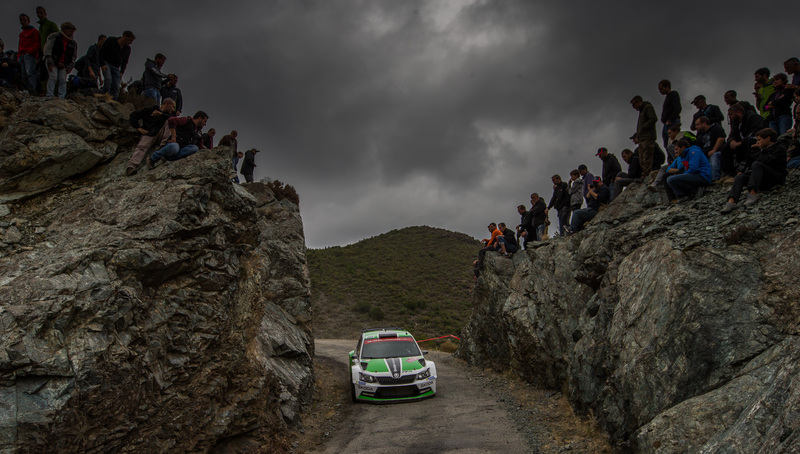 The ŠKODA Fabia R5 was already able to show off its pedigree in the first race of the WRC2 season: Armin Kremer and his co-driver Pirmin Winklhofer (BRR Baumschlager Rally & Racing Team) finished in second place. The only snow rally on the calendar is rated as a highlight among fans. The special stages are driven on snow and ice with only a few exceptions. The special tyres used in this race are equipped with 20-mm spikes that protrude 6.5 mm from the tread. This allows the drivers to charge full tilt through the snowy forests of southern Sweden’s Värmland province, making them faster than on most other rallies. Another challenge is the cold. Temperatures as low as -20 degrees Celsius put the engines under extreme pressure. A lot depends on the weather here, too. Maintaining the icy ideal line under winter weather conditions is considered a particular accomplishment among the drivers. 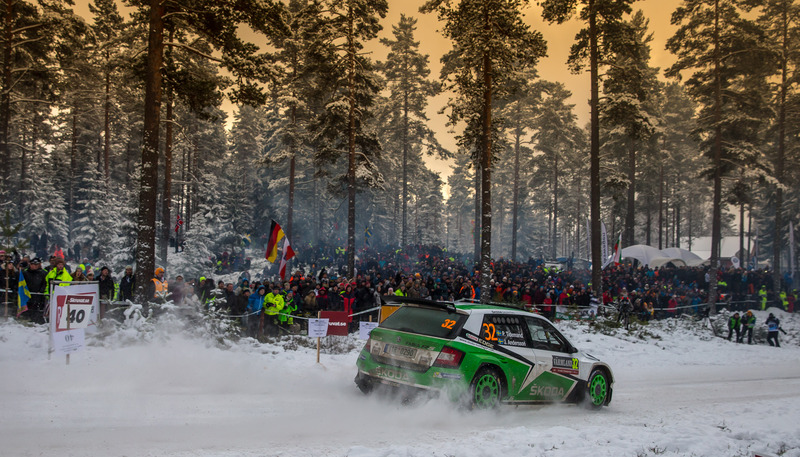 The 2016 rally in Sweden was the first one for ŠKODA Motorsport – and was an immediate success. 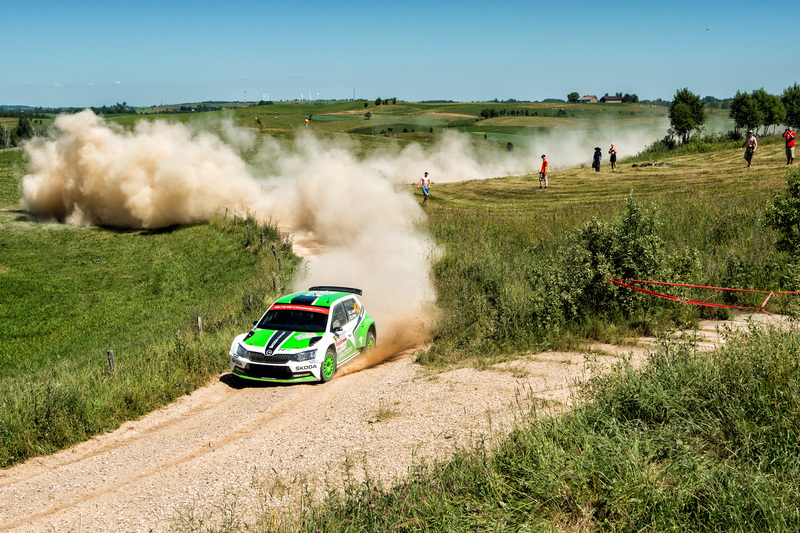 Pontus Tidemand and co-driver Jonas Andersson finished in second place, while Esapekka Lappi and Janne Ferm came in third. 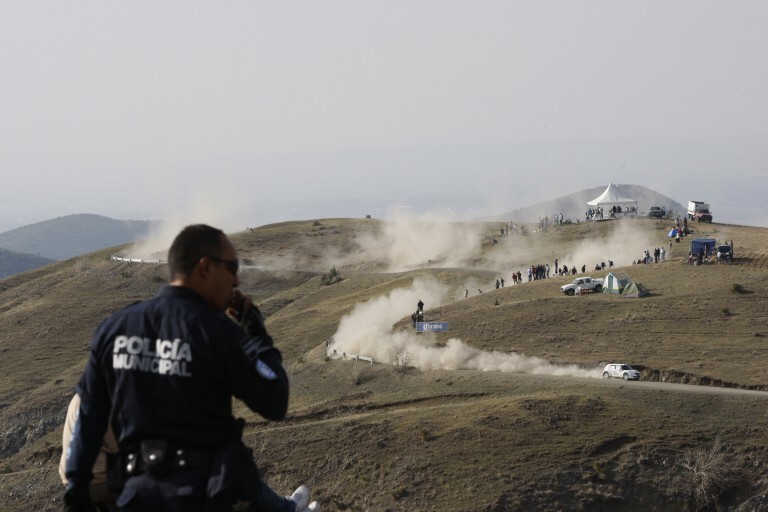 Rally Mexico’s special status on the rally calendar is primarily due to its high altitude. The gravel roads extend up to 2,700 metres above sea level in some places. While it scarcely affects the drivers, the lack of oxygen is a burden on the 205 kW, 1.6-litre engines. The WRC cars lose up to 20 percent of their performance at those altitudes. In cases like this, engineering ingenuity is required to compensate for the deficit as much as possible. Yet the only championship race in Central America is important for the teams as the first of eight rallies taking place only on gravel. 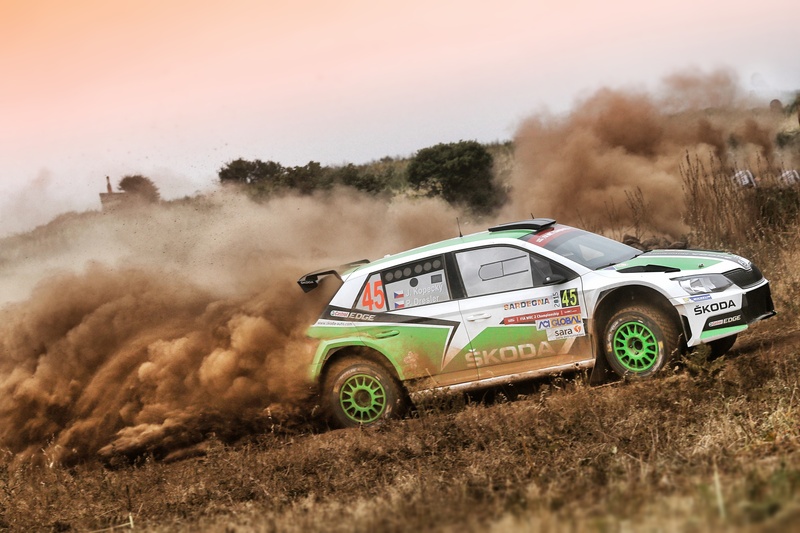 Finnish duo Teemu Suninen (driver) and Mikko Markkula (co-driver) proved earlier this year that gravel surfaces are no problem at all for a perfectly tuned ŠKODA Fabia R5 was proven earlier this year by the . They finished in first place for the TGS worldwide team! 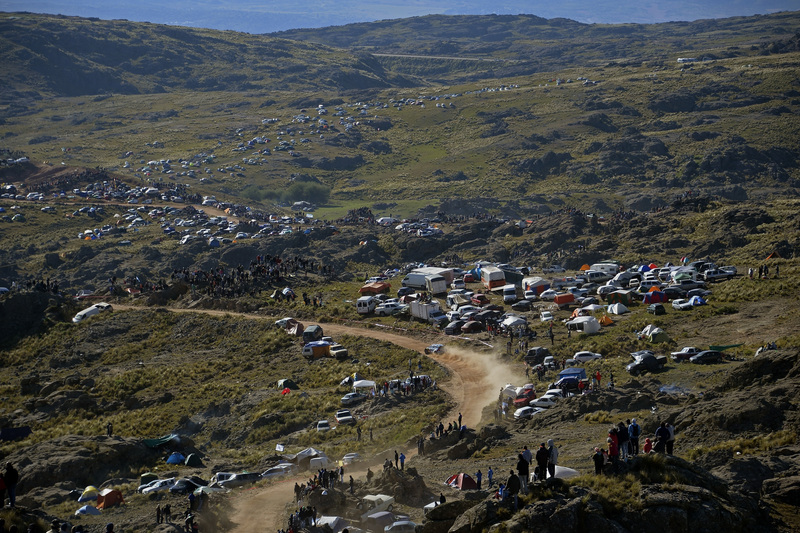 Few motorsport fans are more passionate about rallies than the Argentians – and hardly any other backdrop is more scenic than central Argentina’s highland landscape. The drivers can showcase their driving skills on the narrow, winding stretches that alternate with faster sections. Endurance is another quality demanded along with speed. With a length of nearly 365 special stage kilometres, Rally Argentina is the marathon of WRC runs. One of the special characteristics of the only rally championship in South America is the high number of water crossings. They usually pose no difficulty to man or machine, but they can become feared obstacles after heavy rainfall. In 2010, ŠKODA accomplished one of the most spectacular achievements in its motorsport history – three ŠKODA teams secured all three places on the victors’ podium with the ŠKODA Fabia S2000. The Rally de Portugal is one of the founding rallies of the World Rally Championship series. It is officially a gravel rally, but also contains about 10 percent asphalt surfaces. Its main characteristic: highest demands on drivers and co-drivers. The course is very hard and fast, with numerous hills and bends that offer poor visibility. A lot depends on the co-driver’s perfect pacenotes. Following an interlude in the Algarve, the rally returned to the north around Porto in 2015 – including the legendary Fafe sprints with narrow gravel stretches, spectacular jumps and up to 100,000 cheering fans. 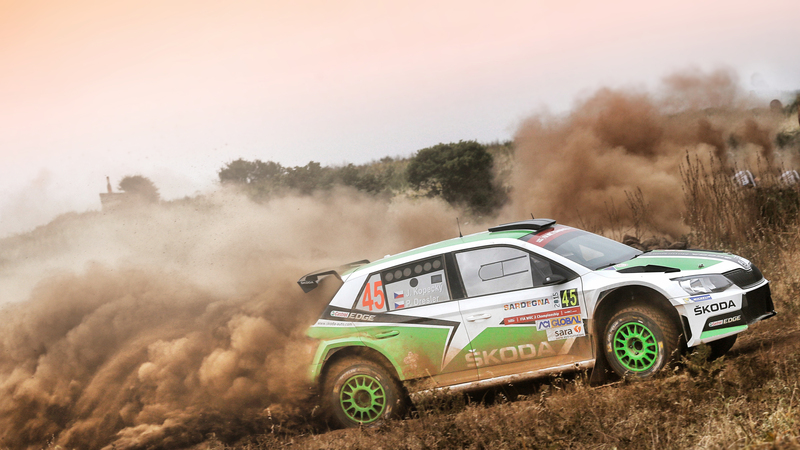 In 2015, ŠKODA drove its way to two podium finishes here in the WRC2: Esapekka Lappi and Janne Ferm landed in second place with Pontus Tidemand and co-driver Jonas Andersson following in third. 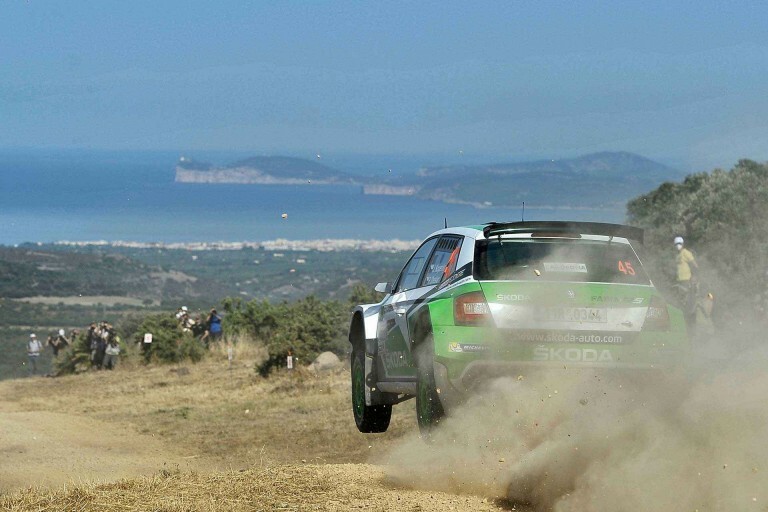 Summer, sun, Sardinia and a speedy ŠKODA: The rally around the service park in Alghero in the northwest region of the Italian island combines the luxury radiating from the Mediterranean yachts in the harbour with the dusty tracks that are considered especially varied and diverse in the island’s shrub-covered, rocky interior. The rally offers something for everyone: high-speed sections, stages with lots of bends, spectacular water crossings and a few fearsome jumps. One of the best-known spectator points at the Rally Italia is Micky’s Jump in the Monte Lerno special stage (SS). Here daring drivers complete sensational jumps with their rally vehicles. The rally is also known to be a massive stress test on the drivers’ physiques due to the frequently blazing heat. In 2015, Czech drivers Jan Kopecký and co-driver Pavel Dresler achieved a third-place finish with their ŠKODA Fabia R5 Platz 3 – after driving 395 kilometres on the Mediterranean island. Rally Poland is both a classic and a newcomer at the same time. It celebrated its debut in 1921. In 1973 and 2009 the course in Poland’s Masuria region played host to WRC guest appearances, and became a permanent part of the series in 2014. It is the fastest rally in the WRC calendar besides Finland – the average speed achieved in the special stages sometimes reaches more than 130 km/h. Many sections of the course lead directly past scenic lake settings in the Warmia-Masuria province, “the green lungs of Poland”. The high grass and bushes growing close to the roadside present a hazard particular to this rally because they can hide the occasional large rock. The ŠKODA Fabia R5 dominated here in 2015: Esapekka Lappi and co-driver Janne Ferm won, with a second-place finish secured by Pontus Tidemand and Emil Axelsson. Rallying comes home. There’s no doubt, Finland is considered the birthplace of rallying. The northern European country harbours some of the most successful drivers and most demanding special stages in the world. This is where rallies count as the national sport. It’s no wonder that hundreds of thousands of Finns celebrate a massive rally party held over several days every summer in the forests around Jyväskylä. The fast and hilly course demands the utmost in vehicle control. The special stages are relatively short, making them all the more intense: they contain the longest, most spectacular and highest number of jumps in rally sports. To win here is considered the ultimate proof of driving skill. 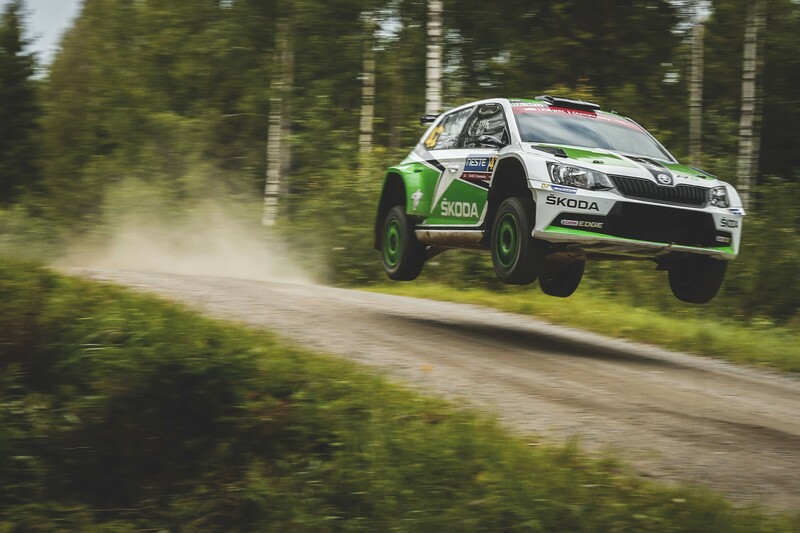 In 2015, ŠKODA Motorsport made it to the top of the podium in Finland. Esapekka Lappi and co-driver Janne Ferm achieved first place, while the Tidemand/Axelsson team came in second. The Mosel vineyards around Trier have only been part of the WRC calendar since 2002, but are considered one of the most scenic rallies. The first rally purely on asphalt in the calendar attracts a cross-section of spectators from Holland, Belgium, France, Switzerland, Austria, the Czech Republic, Poland and many other countries. It’s not always easy to keep control in the labyrinth of vineyards with their high walls and numerous turnings. Fans can watch the cars climbing the hills over many bends from a bird’s-eye view at the Mosel Dhrontal special stage. The best-known special stage is at the Panzerplatte arena, where the cars race past ancient menhirs on a military parade ground. 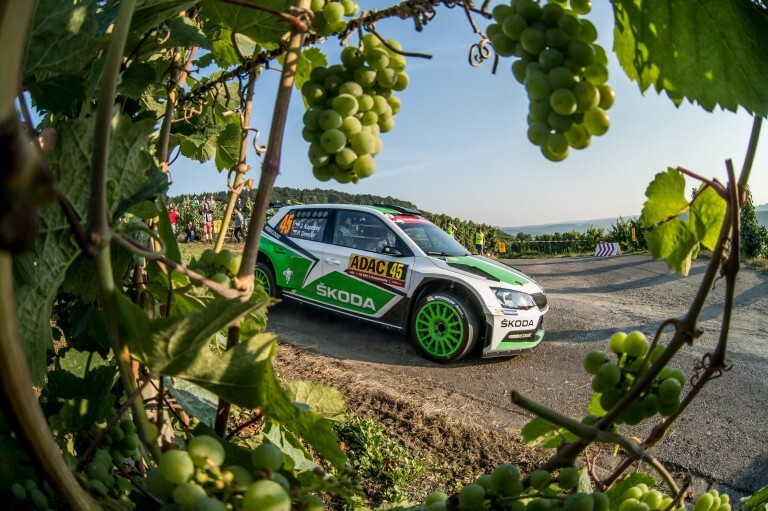 Confident, fast and ultimately in the lead, Czech drivers Jan Kopecký and co-driver Pavel Dresler were victorious in 2015 with a first-place finish in the WRC2 rankings with their ŠKODA Fabia R5. This event is still relatively unknown, since it was only added to the WRC calendar last spring for the first time since 1999. Three facts are certain: first, the rally will take place in the area around Beijing. Second, the race counts as a particularly lucrative newcomer to organiser FIA, in order to further advance the global rally boom. 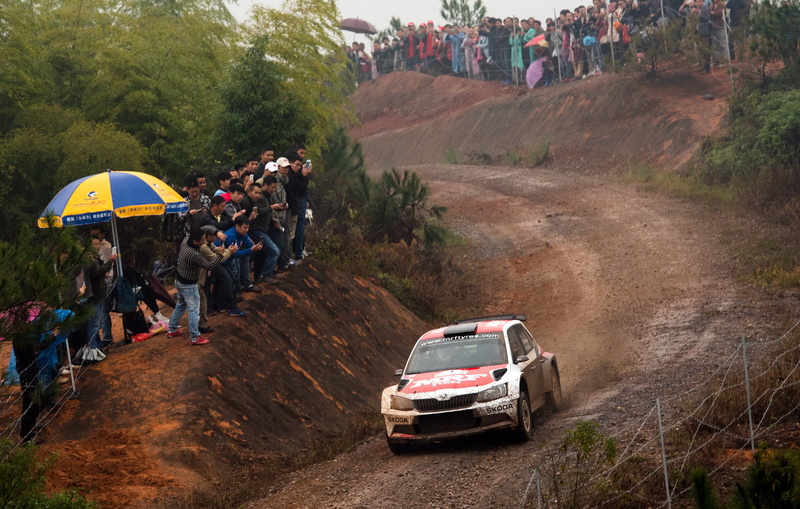 And third, rallies are a popular crowd event in China. This was confirmed by enthusiastic Chinese fans at the 18th Rally China in autumn 2015 when ŠKODA driver Pontus Tidemand scored a celebrated win in the Asia-Pacific Rally Championship (APRC). In 2016, Rallye de France will once again take place on the island of Corsica. Here the drivers can expect narrow and fast sections with rough and coarse asphalt surfaces and endless winding stretches, which earned the rally its nickname, the “race of a thousand bends”. Many of the bends are extreme, and driving errors can have dire consequences. The diverse nature of the rally presents challenges for drivers and mechanics alike. But the rally also provides fans with gorgeous, impressive and spectacular views. ŠKODA Motorsport drivers Esapekka Lappi and Janne Ferm (co-driver) drove to a second-place finish in the WRC2 rankings in France in 2015 – a mere 21 seconds behind the winning pair. And all that after 245.35 kilometres. Nowhere does rallying get closer to a big city atmosphere than at this rally, which travels along Spain’s northeastern Costa Daurada and traditionally starts in Barcelona. It can be recognised by its variety in the mixed special stages on both gravel and asphalt. This special combination ensures the unmistakable character of the Rally de España, which has become one of the most renowned rallies. 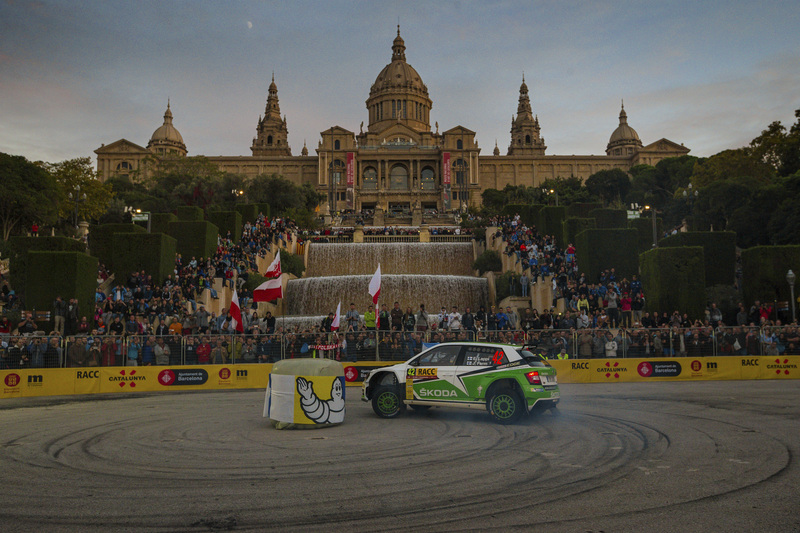 ŠKODA dominated the Rally de España in 2015. 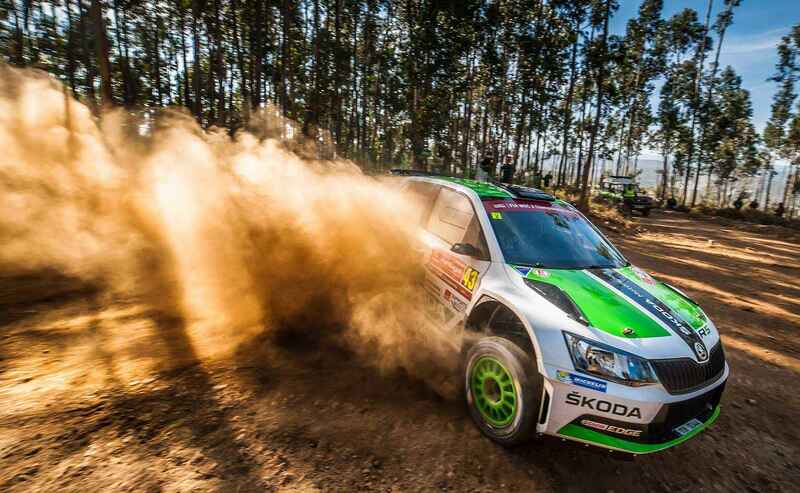 Pontus Tidemand and co-driver Emil Axelsson secured first place, second place went to Jan Kopecký and co-driver Pavel Dresler, and third place was taken by Nasser Al-Attiyah with co-driver Matthieu Baumel – all of them driving the ŠKODA Fabia R5. Cold and wet, foggy and muddy – this is perhaps what makes it so fascinating. The British WRC run was the grand season finale of the rally championship for years, and still retains the atmosphere of the place where rally dreams were dashed and heroes were born. The British cannot be stopped by mere wind or other bad weather, and they flock to the special stages dressed in raincoats and wellies. The stages usually pass through dense woodland and over fast forest roads with trees close to the roadside, leaving hardly any room for error, and slippery tracks that the tyres can barely adhere to. 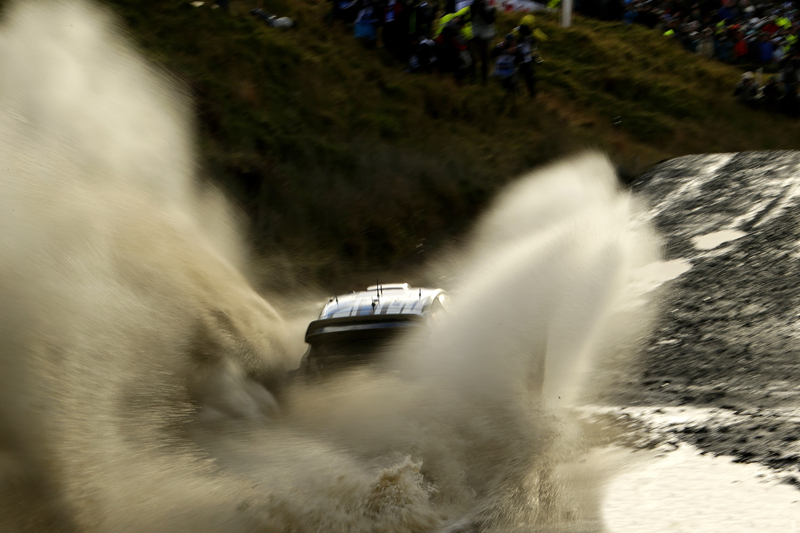 There is good reason why the Wales Rally GB is feared by drivers. In 2015, Teemu Suninen and co-driver Mikko Markkula (TGS Worldwide) raced to victory in the United Kingdom in their ŠKODA Fabia S2000. This rally in the subtropical climate “down under” moved to a new site in 2011. Since then, WRC drivers have been navigating through the Coffs Coast rain forest north of Sydney. You can experience Australia from a relatively unknown, but also breathtaking view on either side of the rally course. 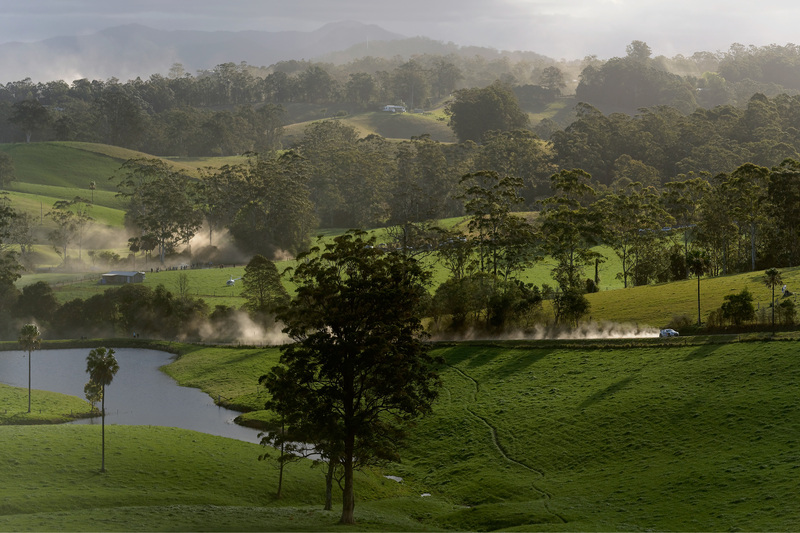 Perhaps the most scenic and beautiful rally in the WRC calendar, the course takes you through the lush, mesmerising green outback. A clean driving style is especially important on the eucalyptus-lined gravel roads, and drivers consider the rally a sheer pleasure to drive.